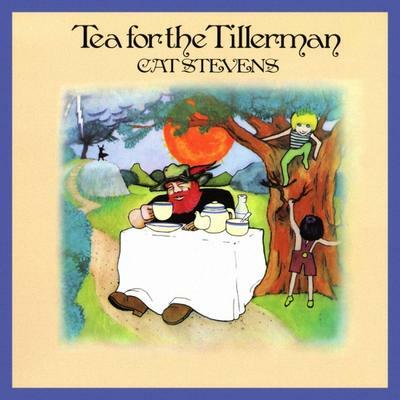 Tea for the Tillerman is the fourth studio album by the singer-songwriter Cat Stevens. This album, Stevens’ second during 1970, includes many of Stevens’ best-known songs including “Where Do the Children Play?”, “Hard Headed Woman”, “Wild World”, “Sad Lisa”, “Into White”, and “Father and Son”. Four of the tracks (“Where Do the Children Play?”, “On the Road to Find Out”, “Tea for the Tillerman”, and “Miles from Nowhere”) were featured in the Hal Ashby and Colin Higgins’s black comedy film Harold and Maude , in 1971. The track “But I Might Die Tonight” was featured in the film Deep End directed by Jerzy Skolimowski in 1970. Stevens, a former art student, created the artwork featured on the record’s cover. “Tea for the Tillerman” was also used over the end credits for the BBC TV show Extras. “Miles From Nowhere” also appeared in the A-Team episode, “Alive at Five” while Templeton Peck is running away.